With a wide range of reliable cars for sale at 2012 vehicle auctions, it is no wonder that more and more people are buying cars on auction. When buying used or new cars, South Africans typically approach dealerships, neglecting to consider the bargains that can be found on auction. In recent years, however, South Africans are catching on to buying cars at vehicle auctions. In 2011, thousands of vehicles were sold at events open to the public, to businesses and to car dealerships. Many of the vehicles sold on auction have been repossessed by banks and other lending institutions. Cars are repossessed when the previous owner defaults on payments or violates the terms and condition of the car finance loan. These cars often sell for very good prices, as the bank is not concerned with making a profit; rather, they want to sell the car off as quickly as possible to make up for any losses incurred. This means that you are essentially buying a car that has already been paid for in portion. How do I know I am buying a reliable car? Truth being told, you don’t actually know if you are buying a reliable car on auction as you usually don’t have the opportunity of test-driving the car before bidding for it and buying on auction. 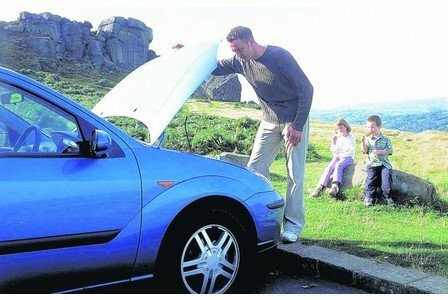 However, you can assume you are buying a reliable car if you have done through research on the vehicle beforehand. Before the auction you need to get a list of the vehicles being sold to decide which car or cars you are interested in. Once a vehicle catches your eye, you need to compare the asking price with the market price of similar vehicles. If the car is selling for a lot less on auction, you know that you are getting a good deal. When you attend an auction to buy a vehicle, get there early so that you can fully inspect and examine the car you intend on buying. If cars are not your thing, bring along a mechanic or someone who is very knowledgeable about what you should look for under the hood of the car. Also check the cars interior and exterior for any damage or flaws which decrease the value of the vehicle and may not make it worth your while to purchase. If you are looking for a reliable car, the newer the car the better. Because many of the vehicles sold on auction are cars that have been repossessed, many of the cars can be on the newer side as the owners are still paying them off. If you need financing for your purchase, the major banks usually have stand at the auction venue to assist you with on site financing for your purchase. Where were vehicles auctions held in 2011? Most of the auction venues used in 2011 are still valid in 2012. Midrand: Autoworld Car Auctioneers host an auction every Tuesday at 11am. For further information about vehicle auctions and when and where they will be happening, contact any of the major vehicle auctioning companies. If you are looking for repossessed vehicles, you can also contact the major banks (First National Bank, Absa, Nedbank and Standard Bank) directly to ask what vehicles they have available and when they will be sold. Auctioneers sold many reliable cars for sale at 2011 vehicle auctions, so 2012 is your turn to give auctions a try if you haven’t already. Remember that you need to register to bid before the auction, and usually make a refundable deposit of R5000 with a bank guaranteed cheque or credit card. Once you are at the auction, remember your budget and keep your head about you, but also have fun in the exciting auction atmosphere! The following video offers some tips on how to buy a second hand car at a public auction and although it is filmed in the USA, it is still pretty relevant and could still provide some of you with some useful advice.